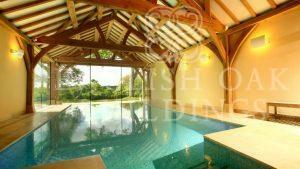 The art of oak framing is displayed to fabulous effect in the timber frames we have created for swimming pools. 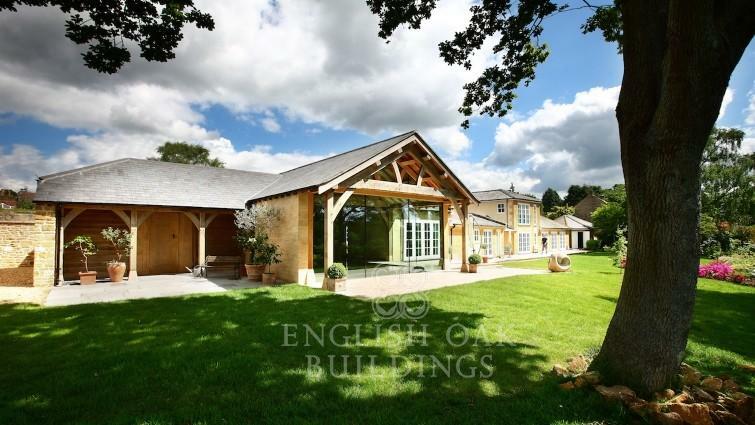 The open plan nature of these rooms means that your entire oak frame will be on show. Nothing quite beats the luxury of swimming beneath your own green oak timber frame, created specifically for your pool. Our expertise is essential in these circumstances, since the increased width needed can be more difficult to construct. 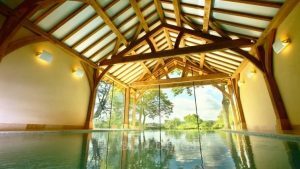 However, at English Oak Buildings we have the skills to create a frame that perfectly fits with the design and intricacies of your pool.